Incontinence is a problem for many people but elderly individuals tend to experience incontinence twice as often as younger people do. Elderly individuals often suffer from a number of problems besides just incontinence as they also end up suffering from constipation as well. With urinary incontinence you will end up dealing with bladder problem that can make it close to impossible for you to hold urine in the bladder and it tends to involuntarily leak out. For some people the bladder leakage problem can be something that is mild or it can be very severe and may require surgery in addition to management of it with adult diapers and other products. It helps to understand what incontinence is so you can actually focus on managing it properly. What is incontinence and how can you as a caregiver help to manage it? Here are some great tips that will be able to help you learn more about incontinence: http://www.caregiverpartnership.com/landing/incontinence/. With incontinence it helps to learn about the symptoms so you can help to manage it for your elderly loved one. Incontinence is something that you do need to work on because it can get worse if you do not properly manage it and it may end up leading to infections and other problems like skin rashes. With women more than men, incontinence is a common problem. Women tend to deal with incontinence more as they have had childbirth and other things that have torn through their pelvic floor muscles and it can cause urination issues to arise. It is also common to see some problems with elderly women as they may experience problems thanks to menopause as this can also lead to pelvic floor muscle stretching and other problems. As a caregiver it can be difficult to understand how you can manage incontinence. It helps by understanding some of the problems associated with it and the importance of water. Ironically not drinking enough water can actually cause incontinence. This tends to surprise many people as they often try to drink less so they won’t dribble as much throughout the day. Not drinking enough water can cause the bladder to become inflamed, causing the urine to come out as the muscles are not contracting. You also need to worry about not drinking enough water as it will end up leading to a bladder infection, which can be incredibly painful and very serious especially in elderly patients. 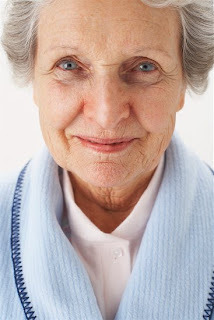 The most common type of incontinence among the elderly is called urge incontinence. This is when you have the sudden urge to urinate and often do not have any warning signs that you will end up urinating. It requires you to swiftly get to a restroom to release your bladder. Since so many elderly individuals are not able to move as quickly as they once could, trying to hurry to a restroom can actually end up leading to falls and tripping in the home. This is actually how a large majority of elderly individuals end up breaking bones in their home. It is important to make their home safe so they can get to the restroom quickly if they do have urinary incontinence. Removing all clutter from the floor and installing safety devices will aid in keeping your elderly loved one safe. Proper diagnosis is the best way to understand what treatments are available for your loved one. They may need to have surgery, but this is usually the last result after trying out other methods first. Management of incontinence tends to be the most common treatment and that is to watch the foods and drinks that you eat along with using adult diapers and other incontinence products. To find quality products visit this link: http://www.caregiverpartnership.com/incontinence-product-finder/.